This is an original canvas print named "GRACE" by the very talented Southern California Artist Christie Repasy that features a yard of the prettiest pink and creamy white roses lying gently on the canvas. 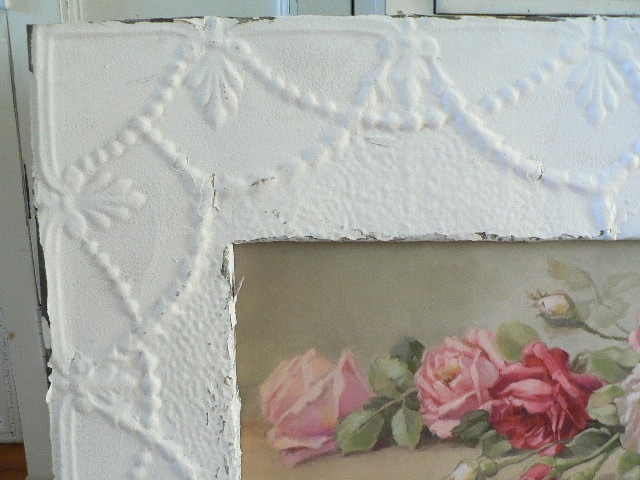 GRACE is framed in the most amazing ORNATE ANTIQUE CEILING TIN FRAME with it's original CHIPPY SOFT WHITE. The tin is very ornate with VERY DEEP EMBOSSED DETAIL.. and it is oh so very beautiful! It was salvaged from an old building being torn down in the midwest and dates back over 100 years! 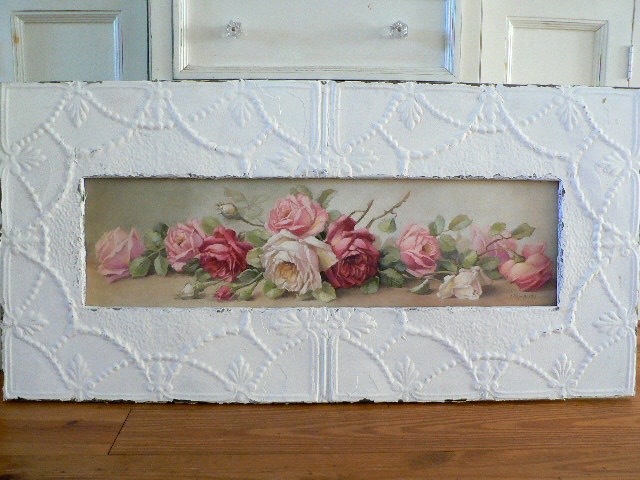 This timeless beauty will fit in ANY decor.. whether you love shabby, romantic cottage, french, or just love roses then this is DEFINITELY one for you! ONE OF A KIND!!! The overall framed measurements are 48" wide x 24" high, and the print alone measures 10"x36". The canvas print is HAND SIGNED AND DATED BY THE ARTIST CHRISTIE REPASY ON THE BACK! 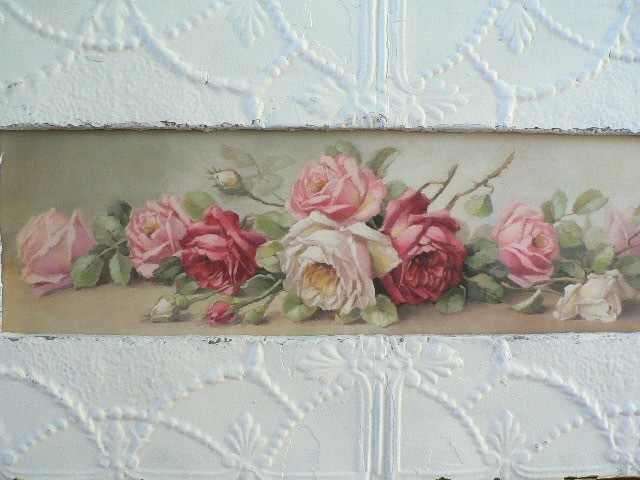 Add some architectural beauty and romantic roses to your home. These roses will last a lifetime!